The opposition CPI(M) today complained to the Election Commission that West Bengal Chief Minister Mamata Banerjee contesting a bypoll from the Bhowanipore assembly seat had violated the Model Code of Conduct. CPI(M) state secretary Biman Basu in a letter to Chief Electoral Officer Sunil Gupta alleged that Banerjee, a candidate of the Trinamool Congress, had violated the Model Code of Conduct by promising jobs to students and youths at a rally in Kolkata on August 28. Seeking immediate intervention by the Election Commission, Basu claimed that ministers and dignitaries came to attend the programme using government vehicles which was also a violation of the model code. 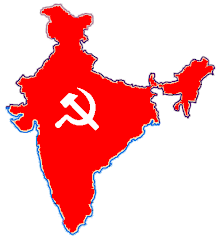 The CPI(M) leader alleged that the Election Commission had failed to take proper action during last the Assembly elections in the state on a large number of violations of the model code by the Trinamool Congress and the Congress despite complaints filed by the CPI(M). The CPI(M) leader said he had enclosed two cuttings of newspaper clippings to the EC. Banerjee is contesting the Bhowanipore seat to enter the assembly in the stipulated six months as she is not a member of the House. The election will be held on September 25.